RDJ will invest €8.3 million as part of an expansion plan in Ireland, it was announced today. The firm will expand its Dublin base with a new office on George’s Dock and add 25 new people to the firm over the next two years. 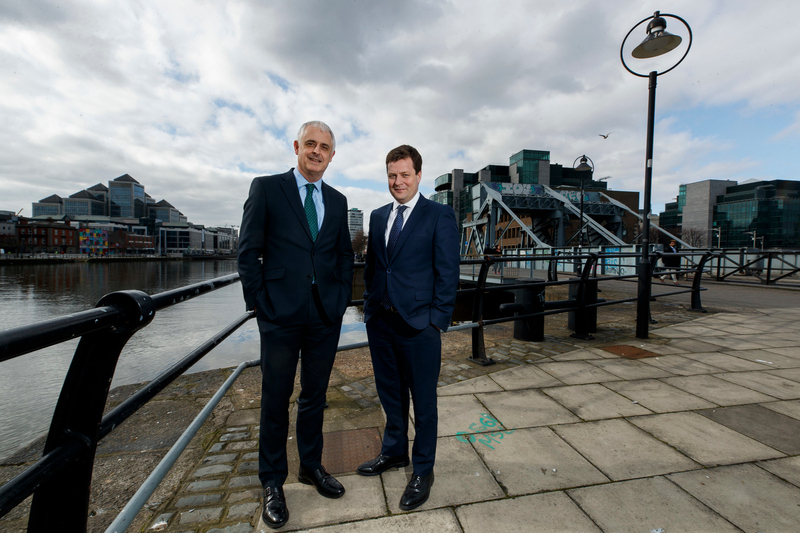 Pictured are Richard Martin, Managing Partner Ronan Daly Jermyn (RDJ) and Jamie Olden, Partner in Charge, RDJ Dublin office. Pictured is Richard Martin, Managing Partner Ronan Daly Jermyn (RDJ) Dublin office. The new office comprises almost 7,000 square feet in The Exchange, George’s Dock, in the heart of the IFSC. 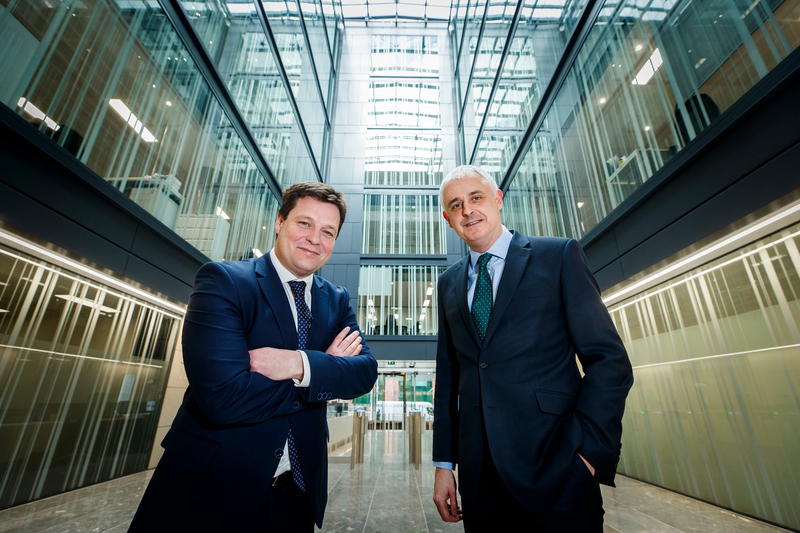 With an established base in Cork, the firm opened a Dublin office in 2015 and is expanding its current operation to support recent growth and future plans. RDJ has offices in Cork, Dublin, Galway and London and employs 240 people currently. As part of the new investment, RDJ is recruiting for 25 new roles across its corporate, regulation, healthcare, insurance, technology and real estate practices, hiring lawyers and supporting roles. The resurgence of Dublin’s property sector has led to an increased demand for legal work which has seen the number of real estate lawyers in the firm almost double over the past three years, from 12 to 23 solicitors currently in the property and real estate practice. 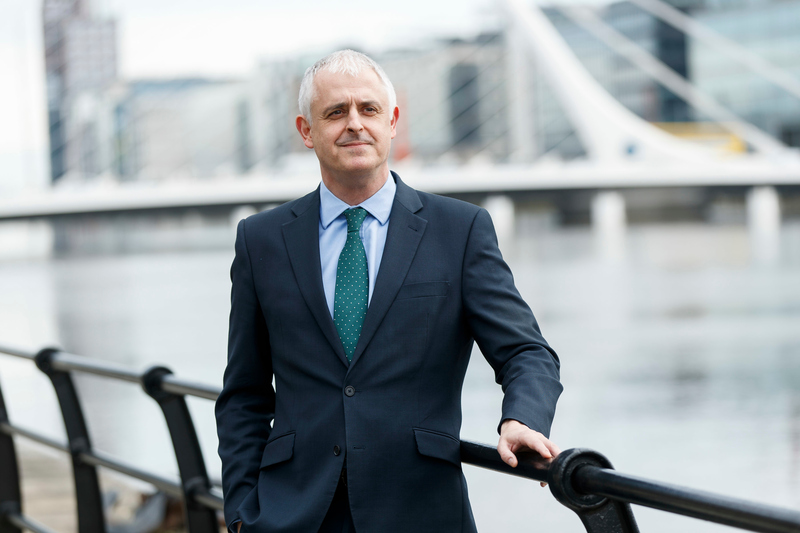 Over the last twelve months, RDJ has advised Irish and international clients across a number of sectors, including several pillar banks and finance companies, state bodies, and major property developers in Dublin and Cork. Specifically, the firm is reporting report strong transactional and M&A activity in its healthcare and technology practice, advising clients such as Bon Secours Health System – the largest independent hospital group in Ireland – on its acquisition of Barringtons Hospital and Agilent Technologies on its acquisition of Luxcel Biosciences Limited. The EY Capital Confidence Barometer Health Report for 2017 found that 38% of health executives expect M&A activity in the health sector to improve in the next 12 months, with 43% intending to pursue acquisitions. Named 2017 Law Firm of the Year at the Irish Law Awards, RDJ is a top 10 Irish law firm, with a team of more than 240. “Businesses, organisations and governments are being transformed by changes in global politics and economics, and by major shifts in technology. Law firms need to be responsive and flexible in turn. “The new investment and expansion plan in Ronan Daly Jermyn is part of our response to this. Our clients will have access to an expanded team of accomplished legal experts – in our offices in Dublin, Cork, Galway and London – advising on a broader range of issues across all sectors. “Dublin is increasingly regarded as an international centre for business. Ireland is the European centre for most of the world’s largest technology companies. Dublin also has a growing reputation as a financial hub, particularly in the fund administration and insurance space.